Earlier this week heath dwelling faux folk band Mumford and Sons made the bold declaration that Kanye West was “the only rock star left”. If self-anointed God, and prophet paradoxically, Yeezus is the leading rocker of our generation then I think we can all safely agree that Rock ‘n’ Roll is dead, rotting away in an alley surrounded by rusty needles, stale booze and broken strings. Then again, I’m not sure four blokes in waistcoats and wellies inoffensively strumming banjos for the middle class are the ones to anoint the next rock star. Maybe they can judge Keswick’s largest turnip competition, but certainly not the current state of Rock ‘n’ Roll. 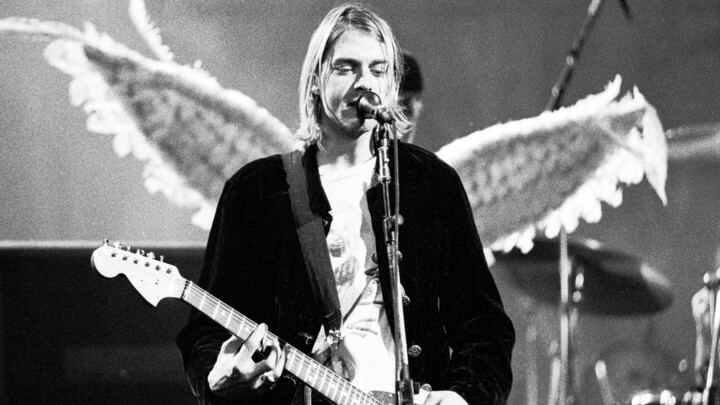 While Kanye West’s legitimacy to the title of ‘rock star’ is highly dubious, there’s one man who personifies the term like few others; Kurt Cobain. The Nirvana frontman was the archetypal angry young man who led the legions of disaffected youths on the early 90s wave of Grunge. A tortured, manic and volatile presence, Cobain lived the Rock ‘n’ Rock existence to the very full in his fiery and fleeting career. 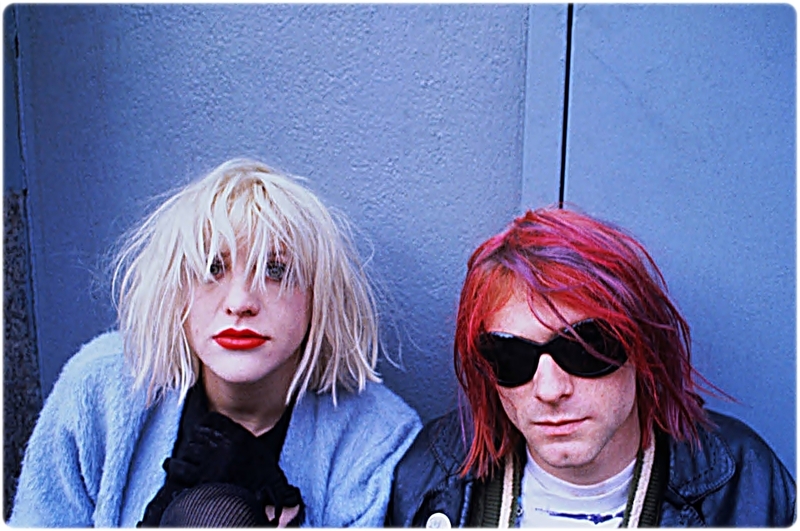 World tours, guitar smashing, heroin addiction, number one albums and an enmity riddled marriage to fellow rocker Courtney Love all added to Cobain’s aura as the most chaotic and explosive star since Sid Vicious. 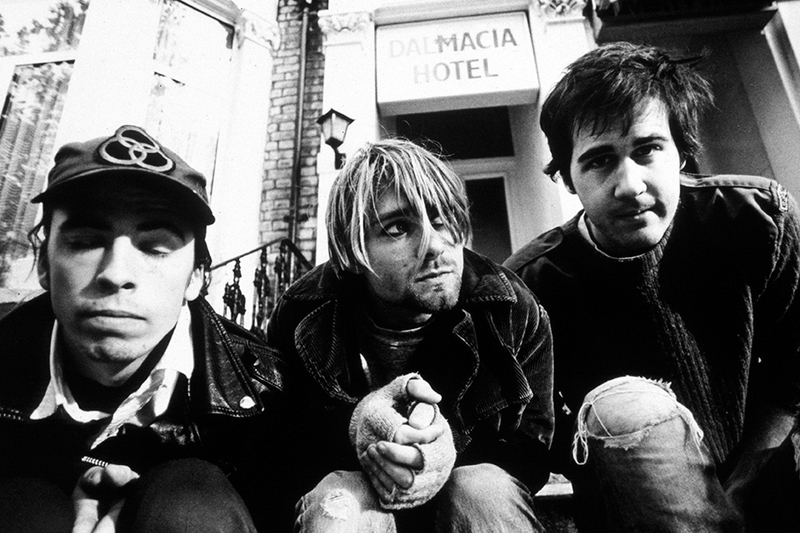 Cobain’s martyrdom was cemented in 1994 when he committed suicide at the age of only 27. In an act of self-fulfilling prophecy Cobain enacted Neil Young’s famous line “it’s better to burn out then to fade away”, a phrase that was not only the epilogue to his life but written on his actual suicide note. Those celebrities who die young and are burdened with immortality are a constant fascination for the masses. From James Dean to Jim Morrison, Whitney Huston to Ian Curtis, our morbid fascination with what could have been lingers on. Brett Morgan’s documentary Kurt Cobain: Montage of Heck, named after the titular’s juvenescent mixtape of Punk Rock, aims to give the most intense, holistic and, perhaps most importantly, accurate portrayal of the conflicted mortal behind the pedestal raised myth. Music documentaries are a bit like songs in structure. Rather than being made up of verses, choruses, bridges and solos, documentaries boil down into a collage of archived band footage, unseen additions and new interviews through a chronological retelling of the acts rise to stardom and demise. Montage of Heck follows a similar structure, but rather like how Punk revolutionised music by playing three chords at sonic speed, Morgan interjects the journey from A to B with a host of animations. For many Nirvana and Cobain devotees the real pleasure will be immersing themselves in the film’s excessive use of Cobain’s own personal memoirs and journals. Like Tupac: Resurrection, which is eerily narrated by the rapper from the grave, much of Montage of Heck is Cobain retelling his own story, especially in terms of his morose formative years. These thorough audio narrations are accompanied by cel shaded animations that gives a sense of time and place rather being visually stimulating. Their prominence is peaked during a harrowing recounting of how a teenage Cobain attempted to seduce a disabled girl so he wouldn’t die a virgin in lieu of his then suicidal thoughts. The animation itself is routine, however the story is a fascinating, if not particularly flattering, in terms of what made Cobain the man he was to become. It’s these dips into Cobain’s life that we’ve not seen or heard before that gives the documentary its captivating strength. Much of the film’s material is reliant on Cobain’s personal stash of journals. These jottings, ramblings and illustrations are given a new lease of life as a wild phantasmagoria of chaotic cartoons and bursts of energy reminiscent of illustrator Ralph Steadman’s work. Nirvana’s early abrasive sounds roars over the top of a pastiche of deformed babies, lists on what the band must do as well as bilious lyrics that would go on to define Nirvana’s success. It’s in these often quite disturbing images and words we can plot Cobain’s preoccupations and issues; a child bursts out of the womb to berate its macho father, distended intestines writhe slimily and a mannequin lays hung with a blossom of wings. It may not all make sense, but it does project a clear, unfiltered vision of what went through Cobain’s mind. This intense spotlight on Cobain is Montage of Heck’s biggest draw and turn off. To see Cobain’s mind regurgitated on screen, along with archived home videos, is to see the man in his natural environment, away from being the sacrosanct leader of ‘Generation X’. While a captivating presence, one soon feels the strain of being subjected to such an unrelenting, confused mind 24/7. Enduring over two hours of Cobain without any substantial rest-bite is absolutely exhausting, that in itself is indicative of his own inner turmoil that spurred on his early death. Interviews with Cobain’s friends and family are short and sparse, even Courtney Love and Nirvana member Krist Novoselic’s contribution is fleetingly interspersed. Additionally, the input of Nirvana drummer turned lead Foo Fighter, Dave Grohl, is conspicuously absent. Morgan’s goal for Montage of Heck is to give a clear, uninterrupted depiction of Kurt Cobain beyond the heroin addicted rock star we’ve all heard of. Everything outside of Cobain’s sphere seems to be a distraction which means there’s little scope of analysis or outsider perspective. The difficulty with solely transplanting you into Cobain’s narcissistic realm is that illuminating why the world became fascinated with him and his music becomes impossible. Perhaps the two key points in the doomed star’s life are why Nirvana became the biggest band on the planet and why he killed himself; neither quandary can be answered effectively from inside the eye of the storm. If there’s one thing that Montage of Heck gets across, it’s that Kurt Cobain was an absorbing enigma riddled with contradictions and charisma. Seeing Cobain obliterate his guitar on stage at an early gig is as much a spectacle as seeing a cadaverous Cobain reeling from his drug addiction. While the film would have benefitted from greater contextualisation, Morgan never attempts to create a definitive, judgmental cross examination of Cobain. At the end of Montage of Heck you’ll be no closer to working out what exactly tipped Kurt Cobain to abandoning his global acclaim, but after seeing his unplugged performance of ‘Where Did You Sleep Last Night’ you’ll know exactly what a rock star looks like.